I’m in bed, content, and I have toast. Long weekend of friends, drinking and drinking a bit too much more! 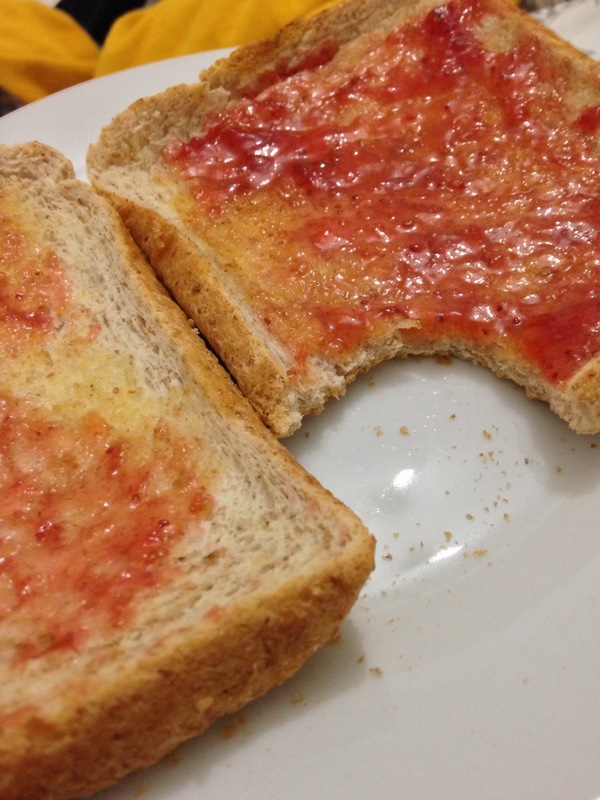 Toast with strawberry jam, yum.